KPSC Syllabus 2019 is available now for the applicants who are searching Karnataka PSC FDA SDA Exam Syllabus 2019. The participant whose application form has successfully submitted & Looking for Downloading Proper KPSC Exam Syllabus, they can read & Also Download Karnataka PSC SDA Syllabus from here. Applicants will be selected on the basis of Preliminary Exam, Main Exam & Personality test. 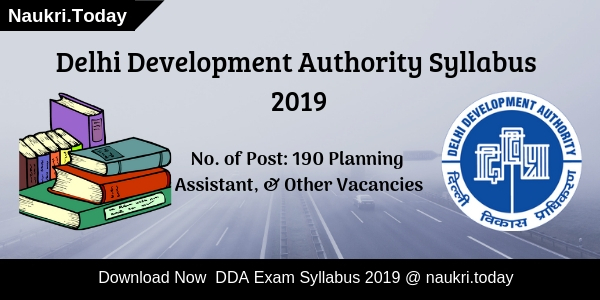 You can collect all the necessary details regarding the Karnataka Public Service Commission FDA & SDA Exam Pattern, Exam dates & Syllabus from here at naukri.today. Earlier, Karnataka Public Service Commission has issued an advertisement for 844 Posts. After Registration, the Department will release Written Examination Date. Appliers who are searching KPSC Syllabus for better Exam Preparation should check Exam Pattern & Other information which is required for SDA FDA Examination from below article. You can also check more information related to Exam Syllabus from KPSC Official Website or from SDA FDA Notification which is mention below. What Are The Selection Criteria and Exam Pattern For KPSC Head Master Examination 2018? 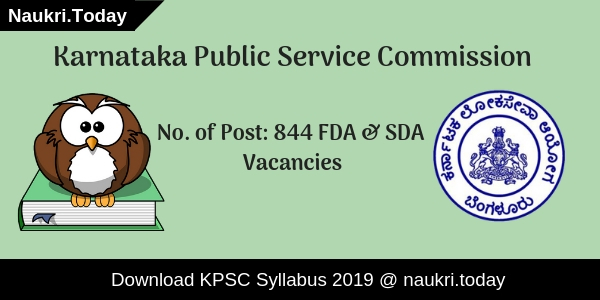 Applicants who have earlier applied for the post of First Division Assistant & Second Division Assistant in KPSC should download the Karnataka PSC Syllabus 2019. You can download the KPSC Exam syllabus 2019 from the official links mentioned below the Article. Karnataka Public Service Commission will select the candidates on the basis of Preliminary Exam, Mains Exam and Personality Test. 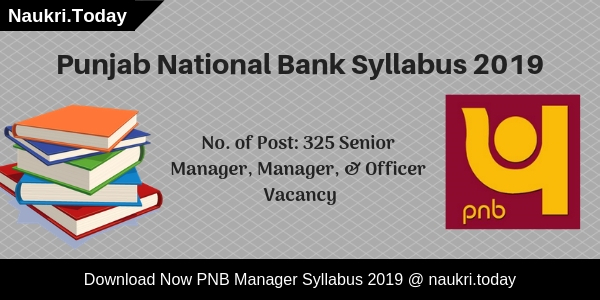 Applicants can Download the KPSC Syllabus 2019 here. The Examination for Assistant vacancy will be conducted online. Karnataka PSC Exam divided into three parts as Descriptive Type, Objective Type Test 1st and Objective Type 2nd Exam. Here we are giving you the KPSC Assistant Blue Print 2019. Applicants who are searching for the Karnataka PSC Syllabus can read this article. The candidates who are preparing for Karnataka PSC FDA & SDA Exams should download the KPSC Syllabus 2019. Here we are providing you the topic wise details about the examination. You can check the Topics which are given in the KPSC Exam Syllabus 2019 below. Short Essay :- 25 Marks. Brevity of the Subject :- 25 Marks. Comprehensive understanding of the subject :- 25 Marks. Usage of words: 25 Marks Knowledge of words :- 25 Marks. Translation from English to Kannada :- 25 Marks. The participant who want to download the KPSC Exam syllabus 2019 can check the below mentioned steps. Here our team is providing you four simple steps to check the KPSC Kannada Exam Syllabus 2019. Applicants who have applied for First Division Assistant & Second Division Assistant Post can check the KPSC FDA Syllabus and KPSC SDA Syllabus here at our website. Log on to the official web portal of KPSC i.e. kpscapps.com. Then, you should read all the details carefully. You should download KPSC Syllabus 2019 and take a Print. Conclusion : KPSC Syllabus 2019 is available now. Applicants who are preparing for the exam can download the KPSC Exam Syllabus 2019. You can Download the Karnataka PSC Syllabus 2019 from the official links mentioned above. Are you searching for KPSC Syllabus 2018? If yes, It is the right place for you. Karnataka Public Service Commission has organized written examination for 700 Head Master and Teacher Posts. Applicants who are going to participate in the examination may check here topic wise KPSC Teacher Syllabus 2018. The Department will conduct Headmaster examination tentatively in January 2019. The Selection Aspirants should take place on the basis of Competitive Examination. It may help you to perform better in an examination. For more details regarding Karnataka PSC Exam Syllabus 2018. Karnataka PSC Department will select applicants on the basis of competitive examination. Candidates who qualify in written examination will call for Interview. The contender who gets qualify in both levels may select for Head Master and Teacher Posts. It is estimated that the examination will be held in the month of January 2019 tentatively. For more information candidates should read official KPSC Exam Syllabus 2018. Aspirants may download Karnataka PSC Syllabus 2018 either from here or from official Website. Here we provided you links to download KPSC Syllabus 2018. Written Examination has divided into two parts such as Paper I & Paper II. Time Duration of the written test is 2 hours 30 minutes. Total Marks of examination is 200 Marks. There are negative marks of 0.25 marks. Candidates who are going to participate in a written examination of Head Master and Teacher Posts may check here KPSC Syllabus 2018. Here we provided you topic wise Tamil Nadu PSC Exam Syllabus 2018. It may improve your studies level. Applicants must do prepare according to syllabus given here. Applicants should follow these steps to download Karnataka PSC Exam Syllabus 2018 easily. Participants must read it carefully before start preparing for an examination. Log on to official Website of Karnataka PSC i.e kpsc.kar.nic.in. Search for KPSC Syllabus section at Homepage. After that read complete kpsc exam syllabus carefully. Now Click on the Download button to save it. Candidates must do their studies according to it. Conclusion: Karnataka Public Service Commission has conduct written examination for Head Master & Teacher Posts. Candidates may download KPSC Syllabus 2018 from links given here. Here we provided you Exam Pattern and Selection Criteria For Teacher examination. Dear Candidates who have applied for the Karnataka PSC Jobs will be searching for the KPSC Syllabus 2017 | Excise Guard Exam Pattern. KPSC Excise SI written exam is going to held on 30.04.2017. Karnataka PSC Excise Guard written exam will going to held on 07.05.2017. To Participate in the ESI & Guard Examination, you need proper Preparation Plan. We provided the Karnataka PSC Excise Guard Syllabus along with the KPSC Excise Sub Inspector Exam Pattern & Question Paper. Karnataka Public Service Commission will conduct the written examination to shortlist the applicants for the posts excise Guard & ESI vacancies in Karnataka Residential Educational Institutional Society. Aspirants who are willing to attend the Karnataka PSC ESI & excise Guard Exam should prepare well. The job seekers still who have not applied for this KPSC Recruitment can apply Online before the last date. we are here to provide the KPSC Syllabus along with Exam Pattern KPSC Excise Guard Syllabus on this page. KPSC ESI & Excise Guard Recruitment 2017 | KPSC Syllabus 2017 : Karnataka Public Service Commission has recently released the recruitment notification for the Unemployed candidates. There are 1180 vacancies of Excise Sub Inspector & Excise Guard (Female & Male)Posts. Interested candidates can apply KPSC ESI & Excise Guard application Form before the last date 30.03.2017. Written Exam and Interview will be organized by the expert committee of Karnataka Public Service Commission to engage best candidates for KPSC Vacancy. Candidates who have applied for the KPSC ESI & Excise Guard Examination 2017 can download the KPSC Excise SI Syllabus & KPSC Excise Guard Exam Pattern from the below Sections. Hiring Criteria Selection Procedure | KPSC Syllabus | Karnataka PSC ESI Syllabus & KPSC Excise Guard Exam Pattern : Selection of applying contenders will be done on the basis of their performance in Physical Standard Test & Physical Measurement Test, Physical Endurance Test, Written examination, Medical Exam & Documents Verification. So, contenders have to satisfy the members of selection panel of Karnataka Public Service Commission with their performance in order to get shortlisted for above provided vacancies. Final selection will be done on the basis of applicant’s performance. Karnataka PSC Excise Guard Syllabus 2017 | ESI Syllabus : First phase is KPSC Excise Inspector Written Test and aspirants need to be in Merit List of KPSC Excise Sub Inspector Exam Results. Next phase is Qualified Candidates in Physical standard and efficiency test, on the basis of marks secured in the written examination, Selection List shall be Prepared. The Written Examination shall consist of two papers of degree standards. KPSC Excise Services Written Test Paper-I : shall consists of two parts. One Part on Essay writing in English or Kannada carrying 30 marks and the Second part on translation of a passage. i)from English into Kannada and ii) from Kannada into English shall be of one and half hours duration carrying 50 marks (30 marks for Essay, 20 marks for translation). There shall be no minimum marks. KPSC Excise Services Paper-II :- shall consists of questions of General Studies in General Knowledge, Science, Geography, History, Constitution, National Freedom Movement and General Mental ability, to be answered in Kannada or English. It shall carry 150 marks and there shall be no minimum marks. It shall be objective type with multiple choices and of one and half hours duration. For the KPSC Excise Guards exam also there are two papers. The Paper I will be from General English or Kannada. Paper II will be from General Knowledge. The total marks for the Excise Guards exam are 300 marks. And the duration of KPSC Excise Guards test is 4 Hours. Physical Measurement Test For KPSC ESI & Excise Guard Examination 2017 : Participants who are qualified in written examination should be attend this Physical Measurement Test. KPSC Admit Card 20`17 | KPSC Syllabus 2017 | Karnataka PSC ESI Syllabus & KPSC Excise Guard Exam Pattern Preparation Guide : candidates should get minimum passing mark for qualifying written Exam. Shortlisted candidates after written exam will appear in Physical Test. If candidates fulfill all the physical Standard will called for Interview Round. Final Selection will be made after main examination. For more information about KPSC admit card & Karnataka PSC ESI syllabus check here. Keep visit here for future updates related to KPSC Notification 2017. Karnataka PSC Syllabus 2017 : Karnataka PSC KRIES Lecturer Exam Syllabus pdf is also available on our portal. Those who are searching for KPSC ESI & Excise Guard Jobs can download the KPSC Exam syllabus from the official website of KPSC or from the our website Naukri.Today. The Excise Sub Inspector & Guard vacancies are available for various subjects such as Kannada, English, Mathematics, Physics, Chemistry etc. The KPSC ESI & Excise Guard written test will be on both general and specific subjects. So that the candidates who ever applied for KPSC jobs must download the syllabus pdf for written exam preparation. Conclusion : KPSC Syllabus 2017, Karnataka Public Service Commission has recently announced 1180 Post of Excise Sub Inspector & Excise Guard. Candidate can download Karnataka PSC ESI Syllabus & KPSC Excise Guard Exam Pattern Preparation Guide from here.